In astronomy, the Pleiades, or Seven Sisters (Messier 45 or M45), is an open star cluster holding center matured hot B-sort stars spotted in the fall constellation of Taurus. It is among the closest star groups to Earth and is the group most clear to the bare eye in the night sky. The heavenly substance has a few implications in distinctive societies and conventions. 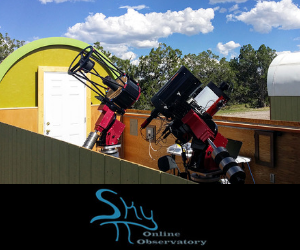 This past school year, 6th-grade students at the Plymouth Community Intermediate School imaged objects in the Winter Milky Way utilizing remote robotic telescopes for astronomy education located in New Mexico, Spain, and Australia. 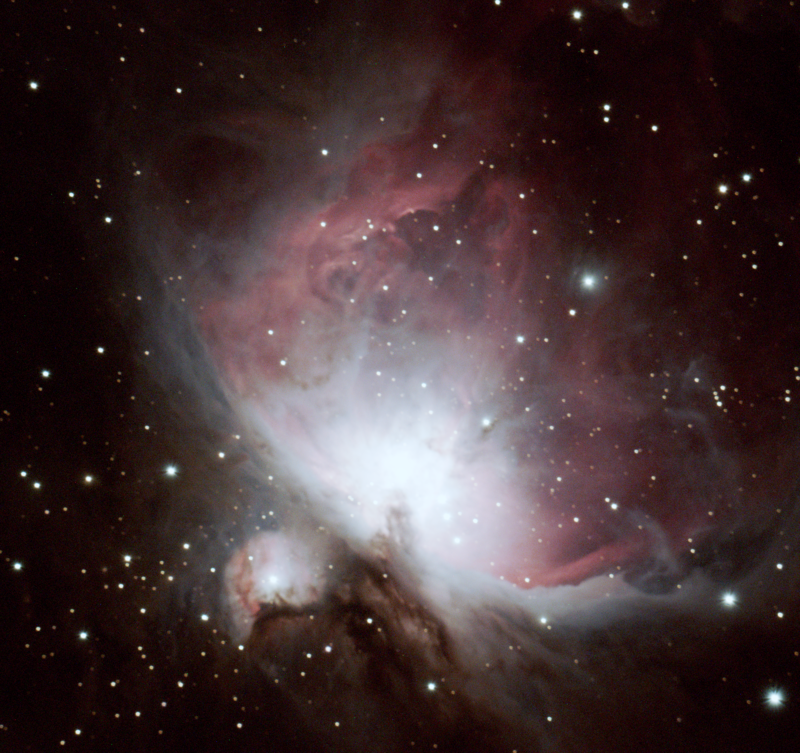 Kevin D. and Jenna F. imaged this fine deep-sky object remotely from New Mexico using a 106mm wide-field telescope. The group is commanded by hot blue and greatly radiant stars that have shaped inside the last 100 million years. Clean that structures a weak reflection nebulosity around the brightest stars was thought from the beginning to be left over from the arrangement of the group (thus the interchange name Maia Nebula after the star Maia), yet is currently known to be a pointless dust cloud in the interstellar medium, through which the stars are as of now passing. Machine reenactments have indicated that the Pleiades was most likely structured from a minimized design that took after the Orion Nebula. Astronomers evaluate that the bunch will make due for about an alternate 250 million years, after which it will scatter because of gravitational communications with its galactic neighborhood. Galileo Galilei was the first astronomer to view the Pleiades through a telescope. He in this manner uncovered that the group holds numerous stars excessively lower to be seen with the stripped eye. He distributed his perceptions, including a portrayal of the Pleiades indicating 36 stars, in his treatise Sidereus Nuncius in March 1610. The Pleiades have long been known to be a physically related gathering of stars instead of any chance arrangement. The Reverend John Michell ascertained in 1767 that the likelihood of a chance arrangement of such a large number of brilliant stars was just 1 in 500,000, thus rightly deduced that the Pleiades and numerous different groups of stars must be physically related. At the point when studies were first made of the stars' fitting movements, it was observed that they are all moving in the same course over the sky, at the same rate, further showing that they were connected. Charles Messier measured the position of the group and included it as M45 in his inventory of comet-like items, distributed in 1771. 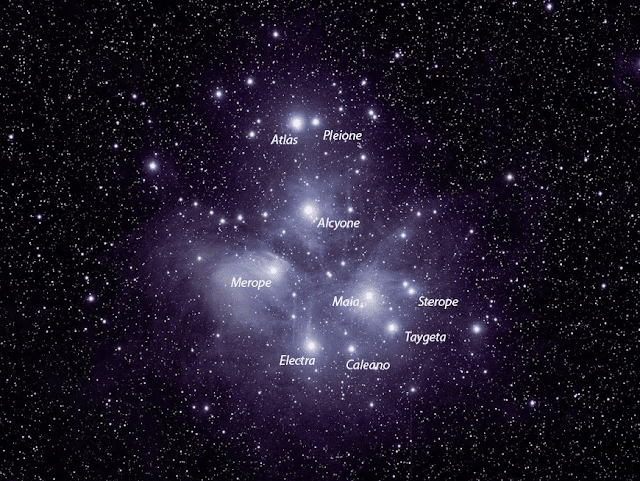 Alongside the Orion Nebula and the Praesepe group, Messier's consideration of the Pleiades has been noted as inquisitive, as the majority of Messier's items were much fainter and all the more effortlessly confounded with comets—something that appears to be barely feasible for the Pleiades.